It is my pleasure to bring you the second installment of Ego Check. Over the last few weeks, I was able to interview Carl Bussler, host and producer of the Flagons & Dragons podcast series. He was kind enough to answer a wide variety of questions about his gaming background and creative process. Below, we discuss some of the challenges inherent to designing and creating adventures for our campaign. Carl describes his enjoyment of Gamma World and how it allows him to design an “anything-goes” setting for his players. Finally, we discuss the genesis of the Flagons & Dragons podcast in addition to unique aspects of connecting with other gamers through podcasts. Thank you for agreeing to speak with me about your gaming influences and motivations. Can you please start off by introducing yourself, and talk a bit how and when you stepped into the world of roleplaying games? 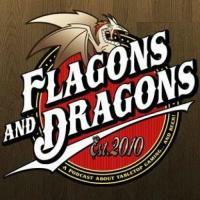 My pleasure, I’m one of the hosts and the producer of Flagons and Dragons, a podcast in which we talk about tabletop games… and beer! My introduction to roleplaying games was gradual, and until 7th grade, the Choose Your Own Adventure gamebooks and the Lone Wolf gamebooks were the closest thing I’d seen to a roleplaying game. I grew-up in rural Pennsylvania and we didn’t have much in the way of comic shops or malls, but we did have a library and a book store. I loved the fantasy genre, and I’d read Tolkien, Fritz Leiber, Robert E. Howard, and any other author who could offer me a temporary escape from reality. It was around the time I’d started reading the Dragonlance Chronicles that I discovered Dragon magazine and learned about Dungeons & Dragons. The idea of a roleplaying game was an easy sell, but I couldn’t actually find it, let alone find anybody willing to play it. After a year or so, fate stepped in. A friend’s older brother was going off to college and wanted to unload his old 1st edition D&D books. I happily paid the $20 for all three books, which I still have to this day. I didn’t actually get to play much until college, but I made up for lost time during those wonderful 4 years. Excellent, those Choose Your Own Adventure books were one of my first exposures to the fantasy genre as well. I loved those books, but I always made the wrong decision and ended up eaten by monsters! It sounds like you had quite a few years between first getting your hands on the D&D books and actually getting to play regularly. How did you cultivate your interest in roleplaying games in the meantime? On the few occasions in high school when I was able to pull a group together, I was the Dungeon Master. But between those rare and wonderful moments, I found myself writing adventures, developing NPC’s, drawing maps of dungeons and continents, and even sketching magic items. I think in the beginning it was denial, or perhaps hope that I’d find some willing players. But in the end it didn’t matter, since I was having fun. I found that creating the places, the people, and the stories that tied them together, was just as enjoyable as experiencing those worlds as a player. And, rather than exploring Middle Earth or Hyperborea, I was exploring places that were the product of my own imagination. This was, and still is, incredibly rewarding for me. I relish being the creative force behind a memorable game. You bring up a very interesting point that I’d like to delve into. You mentioned that the creative process is incredibly rewarding to you, and it sounds like that carried your interest in roleplaying games for years even though you could not play often. What is it about the creation of memorable worlds, stories, characters and items that you find so rewarding? And what was it like to create those early adventures without feedback from players on a regular basis? Good question. I’m not sure how to answer that, but here goes: Some people enjoy writing short stories and some people enjoy illustrating comics. Some people like acting in theater productions. Ask a dozen people why they like those things and you may get a dozen different answers. I enjoy crafting a memorable game because I get to help tell a story, I get to act in all the supporting roles of our ‘made-for-the-basement’ show, and I get to draw the maps and even create the props if I want to. And I say ‘help’ tell a story because the players really are the main characters and it’s ‘their’ story to tell. I just give them some roads to travel and they do the walking. The best rewards I get are the memories of the game. Seeing players cringe when a dreaded foe returns, and watching them cheer when they defeat him once and for all. If I can host a game in which everybody boos the villains, laughs at the foils and cheers their own heroes, then I’m a happy GM. Back in high school I hadn’t really experienced the thrill of running a great game, so I didn’t know what I was missing. I wasn’t looking for feedback and was quite content toiling-away in my own D&D workshop. I’m fortunate now to have a great gaming group that gets together regularly, both at the game table and away. Since we’ve known each other for years, we’re quite open about what we like and don’t like about the games we play. We toss the bad and keep the good. I’m also quite thrilled with all the feedback our Gamma World actual play sessions have garnered. I knew we were enjoying them, but had no idea other people would enjoy them too. I can’t hear people laughing at our shenanigans on their commute to work, but it makes me smile when people tell me they do. That can be a tough bridge for some people – spending so much time creating a world and road for the players to travel, but turning the keys over to the players so they drive the story. How do you maintain that bridge? I agree, it can be a hard balance to keep, especially if you don’t know your players very well. I always go into a game expecting that some or all of what I’ve prepared can go out the window in the first 10 minutes. Players always manage to surprise me. You just can’t plan for every possible solution to the obstacles you put in their way. And you can’t predict what they’re going to want to do next. That’s probably why I don’t run published adventures verbatim, and probably why I prefer the sandbox variety when I do run them. I like to spend more time on the motivations of the characters they encounter, and putting the players’ characters in difficult situations. I’ll set things up, but I don’t spend too much time worrying about the chain of events after that initial encounter. That’s when the players can toss a wrench into the gears. A properly motivated character (and thus the player) in many cases will give you the next step. I think that’s the real key: Motivation. Give the players something they can’t possibly say no to. Something they can’t resist. Make them an offer they can’t refuse. They’ll start walking. All you need to do is put another obstacle in the way. Reach into that bag of tricks you’ve been working on and pick something. You mentioned the memories of your games are the most rewarding aspects of the creative process, and make you a “happy DM.” What makes you an unhappy DM or drains your creative energy? I think my biggest problem is having too many ideas and not enough time. I pull from TV shows, movies, novels, the news and other games. If I tried cramming them all into my infrequent game I don’t think it would work. It’d be confusing for the players and probably wouldn’t make much sense. That or I might even be playing a different game each time we get together. I know my players like a sense of continuity, which is why we’ve chosen to run one system on Wednesdays and another system every other weekend. And I only run once a month. I wouldn’t say this drains my creativity, but time does put a constraint on it, and that can be frustrating. If you only have 8 hours a month to run your game, you need to be very selective about what goes into it. When I do get a chance to run, I want those 8 hours to be non-stop awesome, so only the A+ material comes to the table. Hopefully the players will get a chance to see it. They do surprise me! That’s interesting that you say your biggest problem is too many ideas and not enough time. I just had a similar thought process today after my game last month. Our group only gets to play once or twice each month for about four to five hours per session. I put a lot of pressure on myself to make those hours special and memorable, and I’m honestly still learning how to balance being prepared “enough” without getting “overprepared” to the point where I lose the flexibility you mentioned. 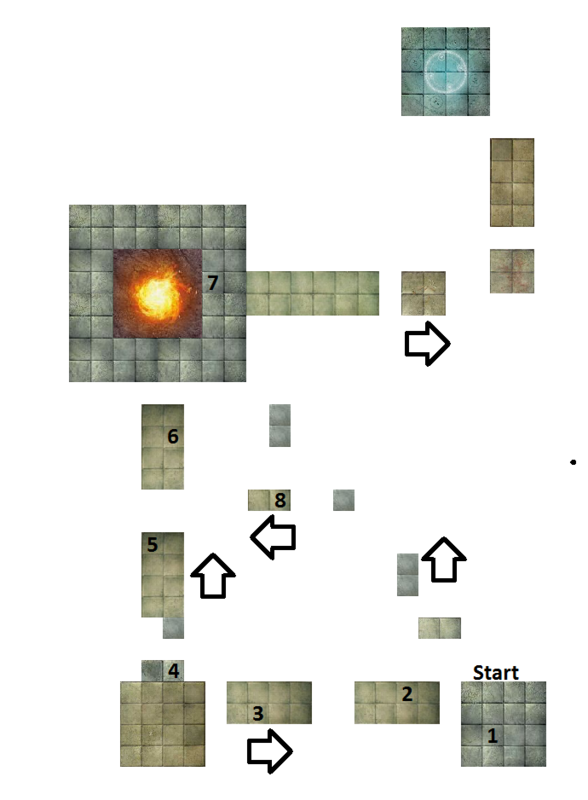 My players stayed “on path” during the session but the timing of everything just felt off to me. They were about to start a fun (I thought!) platforming encounter, but I knew it would take well over an hour or two and it was already running late. So instead of rushing through it, we ended a bit early. Like you said, the time restraints create an extra layer of pressure on us! Yeah, when you only get a few hours to game, you really want it to be perfect. I do applaud your decision to call it early though. There have been times when I’d call the game simply because I was on the verge of the epic finale and didn’t want to rush it. Better to leave them wanting more. You mentioned Gamma World earlier, and I know you feature the game on the Flagons & Dragons podcast. I haven’t had the pleasure of playing Gamma World yet. For those like me, how would you compare Gamma World to Dungeons & Dragons 4th Edition and other RPGs out there? Well, it’s built on the foundations of D&D 4E, so if you play that, picking up Gamma World will be a snap. It’s much simpler. Gamma World has no healing surges like D&D, but while it’s still an Encounter power, you use it when you reach ½ your hit points or ‘bloodied’ and it’s a minor action. Other than this, there isn’t much healing in the game, at least during combat. Between encounters the rules say you regain all your hit points. I also like how they handled weapons and armor. Rather than specific weapons with their own individual damages and specific armor with their own values, they have groups. So, you can choose to carry a heavy, two-handed ranged weapon that has certain to-hit and damage values, but you decide what that weapon actually is. For example, in our game, Dolf ‘The Rock’ Lundenhousen wields a man-hole cover as his heavy two-handed ranged weapon, and a parking meter as his heavy two-handed melee weapon. He could have chosen a cannon ball and truck bumper just as easily. Aside from the mechanics, I also like the fact that I can draw inspiration from any source. Anything goes in Gamma World. Any genre, any location, any story, it all fits in this crazy setting. If I want to include elements of Alice in Wonderland and the Terminator in the same adventure, nobody can call me on it. I’ve read that some people don’t think you can run a campaign in Gamma World. That it’s a one-shot game, or for when you just want to have a few laughs. It can be that, but I think there’s more potential here than that. Wow, it seems like Gamma World really “speaks” to your need to create worlds and stories, and does so without any limitations! Although you alluded to the notion that Gamma World allows you to draw inspiration from any source, which indicates that other game systems limit your creativity and the sources you feel comfortable incorporating into the campaign. Do you feel too confined when running campaigns in other systems? For instance, why couldn’t you use elements of Terminator and Alice In Wonderland in a D&D campaign? Is it a matter of not needing to reskin things so it fits in a fantasy genre like D&D? Well, all the basic elements of story exist in any genre, and you could have a revenge plot set in the Forgotten Realms, Dark Sun, or Gamma World. My players are dealing with a revenge plot in my game right now. With published settings, there’s a pre-existing expectation of what the characters are going to encounter. You expect to fight evil dark elves, goblins or frost giants in a D&D campaign. You expect to fight chainsword-wielding Chaos space marines in a Deathwatch game. With Gamma World, I think the only expectation that my players have is that something different is definitely going to happen. I think with such an open setting, it’s easier to surprise them and keep them on their toes. I guess there is a sense of confinement for me when using a system like Pathfinder, especially if I’m running a published adventure. I can use my imagination, but I still have to work within the boundaries established by the genre. Sometimes you can push those boundaries, but if you go outside them, it tends to disrupt the players’ immersion. Published adventures and settings can be a great source of inspiration and make great foundations for your own adventures. I’ve borrowed from published settings such as the Forgotten Realms, Greyhawk, Ravenloft, Planescape, and Pathfinder’s world of Golarion. These are incredibly rich worlds and each invokes it’s own ‘feel’ at the game table. If you run games in the Realms, there’s going to be high levels of magic in everyday life, and if you run Planescape, you’re players will be zipping about the planes avoiding the Blood War. And if you run a game in Ravenloft you’re going to have some upset players. Just kidding. Well maybe not. That was a setting we loved to hate. Now, if I wanted to inject some Terminator and Alice in Wonderland in a D&D game, I’d have the warforged from Eberron rise-up against their creators. The House Cannith creation forges would be re-opened and mindless warforged would spill of the assembly line.The populace, in an effort to escape their destruction, would open portals to an alternate plane of existence. These hidden portals would be called ‘rabbit holes’. I guess it can be done! Exactly, you can incorporate any influence into your game with a bit of imagination. And it certainly seems like you have no shortage of creative energy. 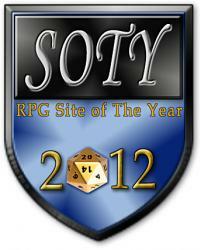 By the way, I’m 100% in if you ever start up that Eberron campaign on the D&D Virtual Table! What about you? What settings have you explored? I get inspiration from television shows, books, movies and random things that happen to me during any given day. But I have kept my campaign in a classic Dungeons & Dragons fantasy setting. For my campaign, I’ve consciously pulled from many sources, and probably more than I don’t even realize. For instance, my players are currently exploring an island that has turned into a very LOST-like environment. Two factions on opposite sides on the island interacted with the adventuring party, and it was unclear who – if anyone – was to be trusted. Eventually, the party learned that a third party was controlling both factions on the island, and now they are close to meeting that threat. I never sat down and thought, “Hmm, how can I create the island from LOST in a D&D setting?” But since I love that show, some of those influences just spilled out in my creative process. I certainly have borrowed heavily from published materials and various adventures that are posted online, but my campaign world is still in a state of flux. As the players interact with the NPCs and world in new ways, I react and create things that I never anticipated. I enjoy that spontaneity with the players. The LOST island seems like a great place to drop the adventurers. Plenty of mystery, danger and exploration. I can understand your love of the fantasy genre. It’s what brought me to gaming in the first place. No matter what other genres I explore, I always come back to it. It would be fun to explore other settings if I had more time. It would be really interesting to me to run an urban campaign but in a D&D setting based on many of the plotlines in The Wire, which I think is the best show start-to-finish on television. I have already taken some elements of crime and dropped them into my current campaign. The party has dealt with “illegal potions dealers” and other miscreants, and I created an in-world newsletter for the main city in my campaign to bring in the idea of media influences in the world, but it would be interesting to find an entertaining way in a roleplaying game to explore the underbelly of political and organizational bureaucracy . . . that also involved a number of opportunities for combat! I really like your idea of the in-world newsletter. What a great way to get information into the hands of the characters. If you don’t mind, I think I’ll steal that for my Gamma World campaign. I could see an underground press spreading pamphlets. Not sure what direction that’ll take, but it’s a cool device. It seems like you have taken your campaigns in so many directions. Where else would you like to go? I think the next step for me is writing and publishing new material. I’d like to do some writing for Savage Worlds or the Pathfinder system because I’m familiar with them. I’m open to other systems, but I’d need to get a handle on the mechanics first. I have a bunch of projects on the shelf, but I’d actually like to work with others on these. I like being part of a team and bouncing ideas of each other. I really enjoy collaborative efforts. I previously spoke to Jeff Gupton of Blackbyrne Publishing and he discussed his experiences with 3rd Party Publishing. Do you see yourself moving in that direction? I think so, but I realize there’s a great deal of work involved in publishing. It’s not just writing and being creative. In many cases, creative types start by writing for others, then publishing their own work, and some take the plunge to become full-fledged publishers by hiring freelance artists and writers. I did an interview with Robert Thomson of 4 Winds Fantasy Gaming and he confirmed that it’s not easy to be on both sides of the fence. 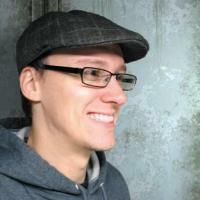 Running a company puts additional demands on your time, even if it is a small 3rd party publisher. But having said that, yeah, I could see myself going in that direction. Before we conclude, I was hoping you could tell me a bit about the genesis of the Flagons & Dragons and Gamma Worlds podcasts. How did those podcasts start? Sure, my friends, who are now co-hosts of the regular and actual play episodes, are either homebrewers or big fans of craft beers. I noticed that when we were gaming, we were drinking and talking about beers. When were making our beers, we were talking about games. The two topics seemed like peanut butter and chocolate that hadn’t met yet. Modern day chocolate and peanut butter! At one game I suggested the idea of a podcast that combined our two hobbies and was initially met with blank stares and puzzled looks. Most of them didn’t listen to podcasts and they weren’t sure why I’d want to kill an hour of our precious game time with this podcast thing. I explained to them that all they had to do was drink beer, talk about games, and let me handle the rest. With that promise, I got the green light. We started with what we now call our ‘regular’ episodes, which are round-table discussions on a variety of gaming topics. In the middle of the show we have a short ‘beer break’ where we try some new beers and rate them. We now have a beer rating system of Critical Fumble, Miss, Hit and Critical Hit. At the end of the episode I add some humorous outtakes from that night’s gaming session. We then added a ‘nuts and bolts’ episode where we focus on the mechanics of a particular game. In these we’ll unbox the game, walk through character creation and discuss the crunch of the system. We released the recording of our first Gamma World game as a follow-up to the Gamma World ‘nuts and bolts’ episode. It was well received so I decided to continue recording them. They are now the ‘actual play’ episodes. The most recent addition to the show is the interview series where I talk with a publisher, author, or artist in the gaming community. I really enjoy getting to know the people behind the products. What do you think of podcasting as a means to connect with other gamers across the world? Podcasting is an amazing medium. You can listen to podcasts at your computer while at work or surfing the web. You can listen to them at the gym on your iPod, or during your commute to work. If you’re waiting at the doctor’s office you can listen to them on your iPhone. It’s gratifying to get emails from people all over the world saying that they’re enjoying the shows. Most of our listeners are in the U.S. and Canada, but there’s also a strong showing from Australia, the U.K. and Germany. Maybe that’s because those countries have a history of fine beers and games! Podcasting in itself is mostly a one-way street with information travelling from the host to the listener, but through the use of blogs, forums, Twitter and Facebook, I’ve come to know quite a few of the listeners. Not everybody uses the same applications, so I need to be familiar with all of them in order to reach as many people as I can. It’s also fun to see our listeners chatting with each other, who may not have met if they hadn’t discovered the show. Thank you for discussing your creative process with me. My imagination is now bouncing in different directions! Any final words? Well, thanks for asking me to do this. I really enjoying meeting and interacting with other gamers, whether it’s through a blog or other social media. I think your Ego Check series is a great idea and I’m glad to be a part of it. This entry was posted in DM Advice, Ego Check and tagged D&D, Dungeons & Dragons, Flagons & Dragons, Gaming, Gamma World, Podcast. Bookmark the permalink.